You've already read 'Your Introduction to the Tarot', 'First Three Major Arcana', 'Second Three Major Arcana', 'Third Three Major Arcana', 'Fourth Three Major Arcana', 'Fifth Three Major Arcana', 'Sixth Three Major Arcana' and 'Seventh Three Major Arcana' and now your journey through the Tarot continues with the fourth group of three Major Arcana cards. Each of the Major Arcana cards shows a symbol of an archetypal force that shapes existence and also operates within the subconscious mind. As you become aware of these forces, working with them to understand yourself and the world, you can become more effectual and fulfilled. The symbols can be used as a focus for meditation as well as divination, as they show what the future may hold. The better you get to know the symbols the more clearly they will speak to you. Your journey through the Tarot continues with the last of the Major Arcana cards. Each of the Major Arcana cards shows a symbol of an archetypal force that shapes existence and also operates within the subconscious mind. As you become aware of these forces, working with them to understand yourself and the world, you can become more effectual and fulfilled. The symbols can be used as a focus for meditation as well as divination, as they show what the future may hold. The better you get to know the symbols the more clearly they will speak to you. The World is also the Universe, ‘reality as we know it’, all the forces that interplay in our existence and the laws that govern them. We like to think we can understand the world with our science, but if we only believe in the material, then we will never master this life. The World is also the force of Time – we are all caught in Time, and in our own karma. However, through enlightenment, karma can be transformed. 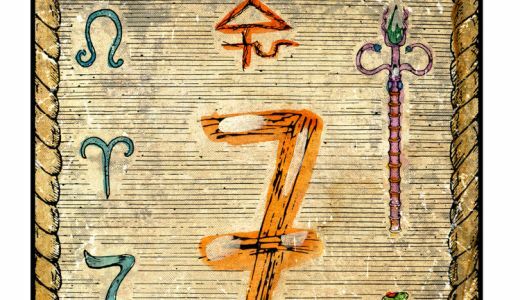 The World is shown with the four Elements of the Zodiac in the corners of the card. This gives a hint about the energies that affect us all. It also leads towards the Four Suits of the Minor Arcana, which are each linked to one of these Elements. The World is your opportunity to recognize what truly is ‘real’ around you, and to be master of your destiny. With The World you form your connection with your surroundings and interact with them. Are you captain of your ship? Do you adjust to change, see things from different angles? In a spread The World shows your achievement, tasks well done and also the possibility of mental and physical travel. WANDS equate with FIRE, linking to career matters, enterprise, courage and imagination. SWORDS equate with AIR, linking to all forms of communication and contact between people, also learning and facts. CUPS equate with WATER, linking to love, relationships and the realm of feelings. PENTACLES equate with EARTH, linking to money and material concerns. To develop your own understanding and relationship with the cards, spend a while meditating upon them. Relax, look at the image on the card of your choice and then in your imagination enter the world of the image. Journey with The World and the Four Elements of Fire, Earth, Air and Water. Let your imagination speak. What can you learn about their meanings and how they manifest? 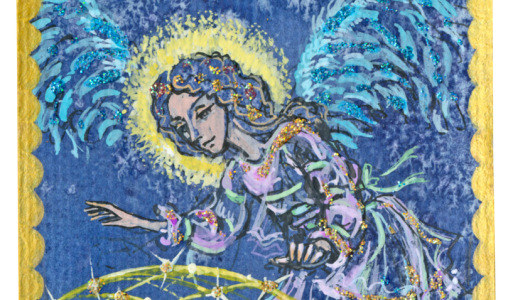 Make notes of your thoughts, for they will be invaluable in your work with the Tarot. Use five cards – The World, The King of Wands (Fire), King of Swords (Air), King of Cups (Water) and King of Pentacles (Earth) on their own for some basic insight. Ask about a plan you have in mind – choose something that is important to you but not life-changing, because that could cause you to be tense and to lose the playful attitude that is helpful for divination. (Reverence with mirth always works best!). Shuffle the cards and deal one to guide you. If you deal the World you have many choices – go ahead on the basis of what you have achieved and learnt. If the King of Wands, courage and enterprise are needed, King of Swords suggests thought and communication, King of Cups means take into account empathy and emotions and King of Pentacles flags up practical concerns. 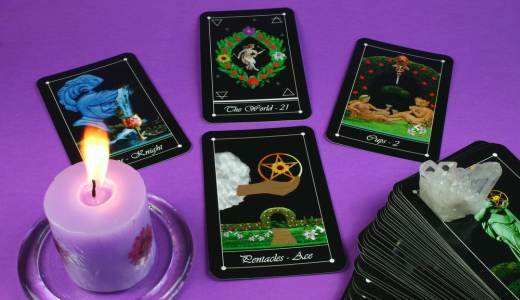 Some Tarot readers interpret a card that is upside-down as the force working negatively, or delayed, but others place no importance on this – you will eventually form your own views. For now, take note of how your first use of these cards works out, so you can learn and progress. You can incorporate the other cards you have learnt about when you feel ready. Interpreting signs on your own may not be enough and you may want more guidance. Or you may need someone to talk through your ideas and what they mean. We offer tarot readings at The Circle. 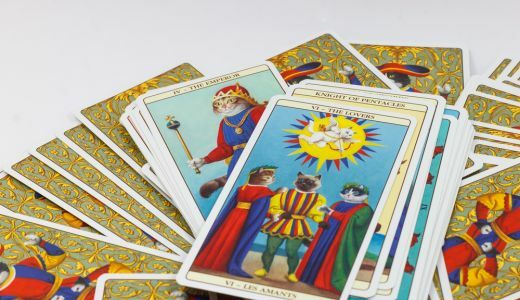 To get advice on anything that arises, our knowledgeable readers at The Circle are ready and waiting for your call, with tarot card readings to answer your questions, so why not get in touch today?